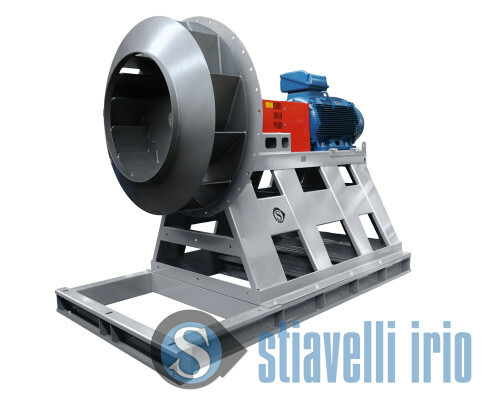 Fan for the suction of dust and fumes in a steel plant. Arrangement 8, through elastic joint. Fan made of carbon steel S235JR. Casing and base can be separated from the baseframe, facilitating the transport and making this construction remarkable. Insulated non drive endshield, suitable for the motor to be powered by VSD. 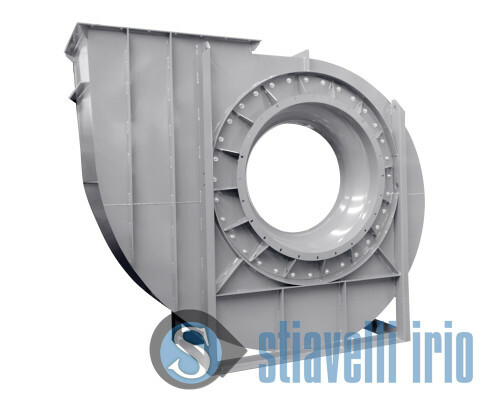 Heavy-duty standard fan with suitable stiffeners on casing and base. Fan in arrangement 8 with coupling through well-dimensioned elastic joint. 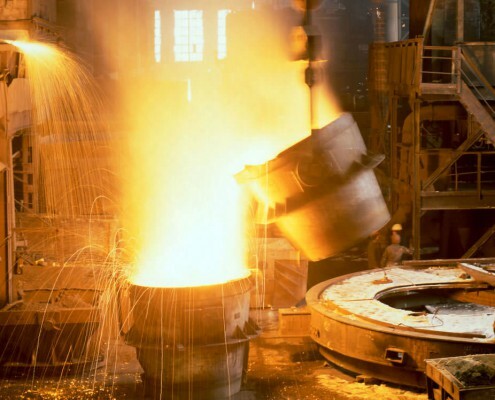 The fan operates inside a steel plant in conjunction with a filter.